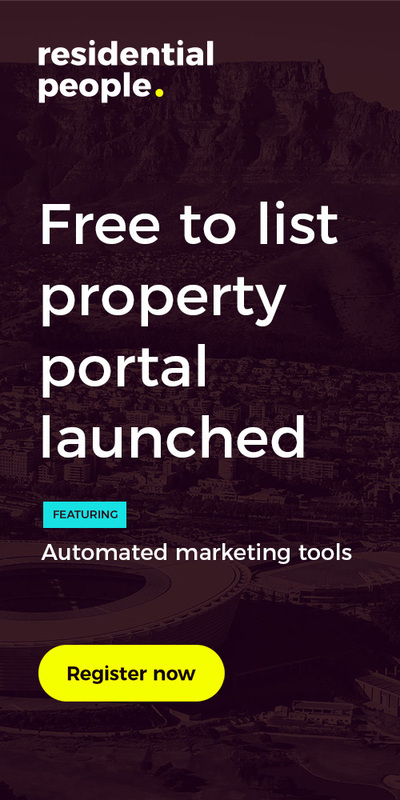 April 12, 2018 April 13, 2018 admin Charles Thompson, Commercial property, Gateway Theatre of Shopping, Hilton Garden Inn, Hilton Hotels, hospitality, Hotels, King Shaka International, Michael Deighton, Mixed-use Developments, Patrick Fitzgibbon, Tongaat Hulett Developments, UA Hotel Company, Umhlanga Arch, Umhlanga Ridgeside. 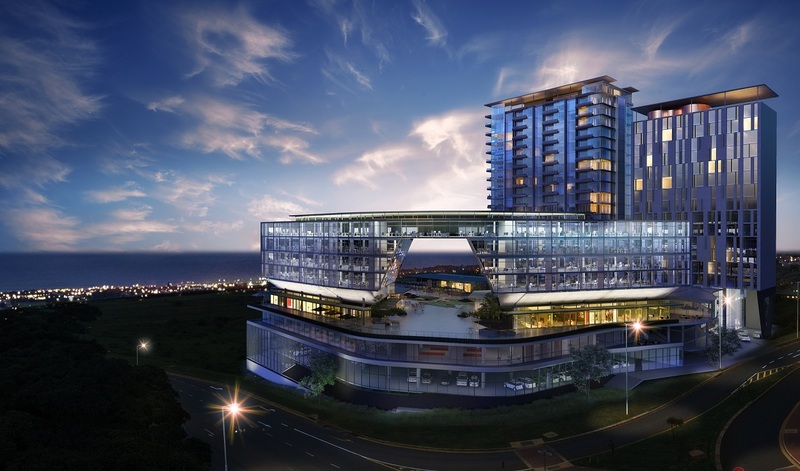 Hilton hotels group has signed a management agreement with Durban-based UA Hotel Company to open a 207 guestroom Hilton Garden Inn Umhlanga Arch in the booming Ridgeside precinct of Umhlanga in 2020. 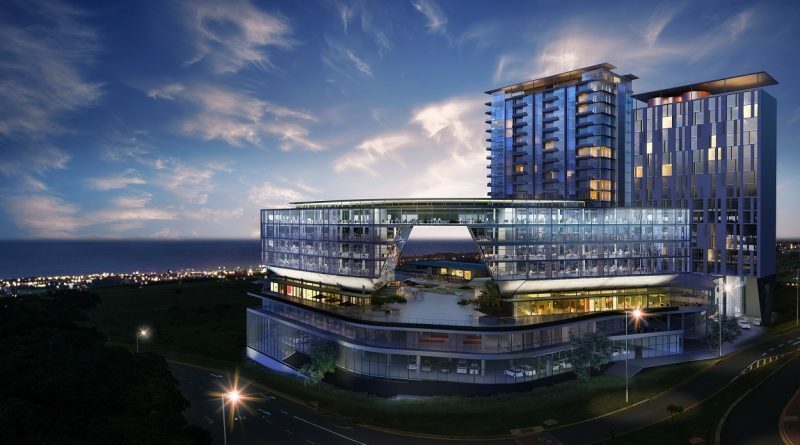 The new hotel will be part of the R1.3 billion Umhlanga Arch mixed-use development under construction in Ridgeside, a master-planned development by JSE-listed sugar and property giants, Tongaat Hulett. 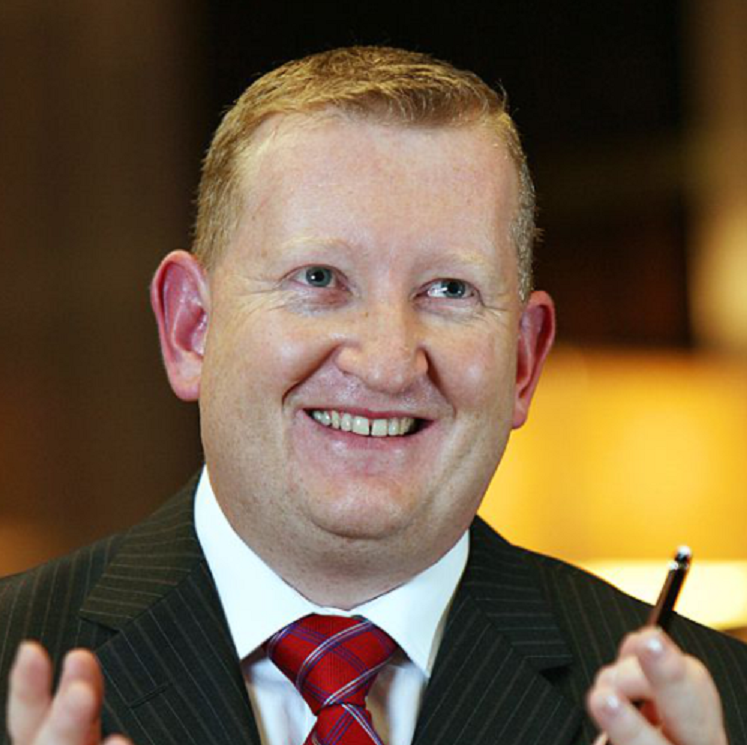 Patrick Fitzgibbon, Hilton’s senior vice president for development in Europe, Middle East and Africa (EMEA). The 207 guestroom Hilton Garden Inn Umhlanga Arch will be situated within easy access to King Shaka International Airport, La Lucia Ridge, Durban and the Gateway Theatre of Shopping. The hotel will offer its own business and fitness centres, outdoor pool and various food and beverage outlets, including a garden and lounge bar. 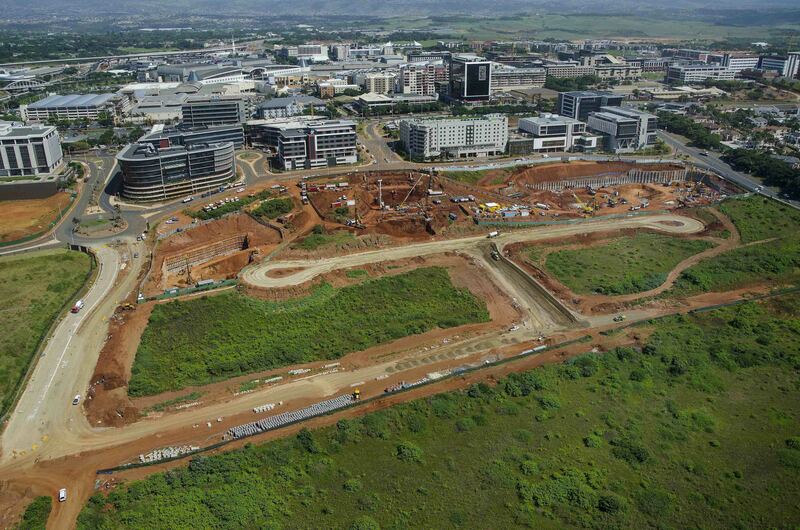 An aerial view of Ridgeside, the multi-billion rand mixed-use mega development node, which cascades towards the sea from uMhlanga Ridge and is being driven by Tongaat Hulett Developments. The construction site in the middle of the photograph is where the Umhlanga Arch development is underway and will include SA’s first Hilton Garden Inn hotel. According to the Hilton group, Africa is home to nearly 90 Hilton hotels trading and under development across five brands, including Hilton Garden Inn. The brand has proven successful across the region with more than 150 hotels across Europe, Middle East and Africa. Hilton Garden Inn Umhlanga Arch will be located on Umhlanga Rocks Drive in Umhlanga Ridgeside, KwaZulu-Natal, South Africa.